LDRArules is a stand-alone rules checker that doesn't require investment in a complete tool chain. It enforces compliance with industry- or user-defined coding standards and provides clear visibility of software flaws that might typically pass through the build and test process and become latent problems. CodeSonar has been proven to provide the deepest static analysis, finding more critical defects than other static analysis tools on the market. 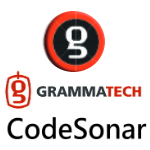 CodeSonar has performed best on several static analysis tool benchmarks in finding static memory, resource management, concurrency, and other defects. By analyzing both source code and binaries, CodeSonar enables teams to analyze complete applications, enabling you to take control of your software supply chain and eliminate the most costly and hard-to-find defects early in the application development lifecycle. SonarQube -the open source quality platform- has become a must-have of any mature development projects. 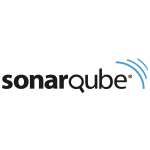 SonarQube is a code quality management platform, dedicated to continuously analyze and measure technical quality, from the projects portfolio to the class method. The SonarQube platform provides Continuous Inspection capability on applications portfolios to track quality defects and report them into customizable dashboards (technical debt, test coverage, duplications, architecture integrity, rule compliance, complexity, etc.). SonarQube performs analysis on billions lines of code. Cantata is a unit and integration testing tool, enabling developers to verify standard compliant or business critical code on host native and embedded target platforms. Cantata is integrated with an extensive set of embedded development toolchains, from compilers to build and requirements management tools. The ECLIPSE® GUI, tight tool integrations and tests written in the source C/C++ code, all make Cantata easy to use. Assess software reliability, security, and conformance to ISO coding best practices while reducing development time. Test Advisor, defines unit-testing policy and automatically analyze the code with every change to identify untested code violations as unit tests are executed. Coverity® Test Advisor – QA Edition helps Quality Assurance teams improve the efficiency and effectiveness of their manual and automated testing efforts for .NET and Java applications by prioritizing testing based on business risk and change impact. Squish Coco code coverage tool is a complete, cross-platform, cross-compiler tool chain allowing to analyze the test coverage of C, C++, C# and Tcl code. Finds and highlights untested code sections. Finds redundant tests (i.e., tests that merely duplicate others). Computes the optimal order of test execution that will maximize the overall coverage. 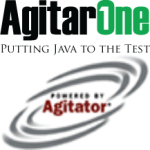 Compares the test coverage of two application versions or test executions.